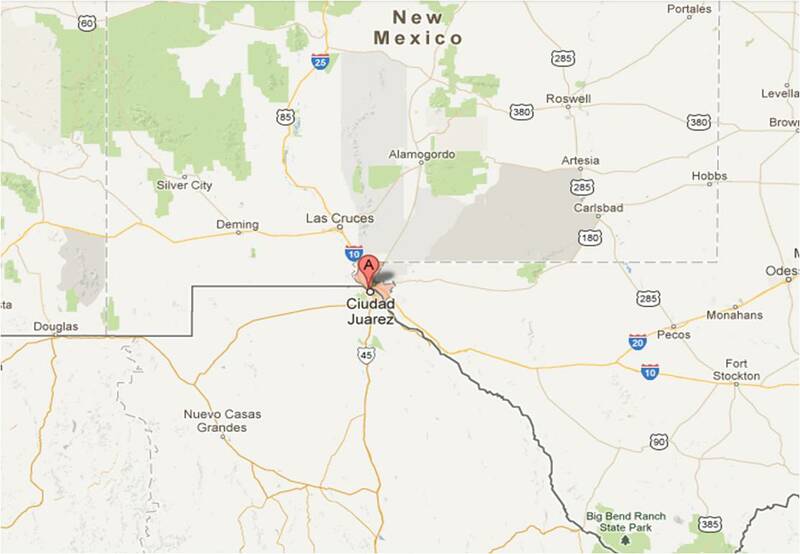 Our stay in the El Paso area started with our arrival at Fort Bliss which is just north of downtown. It was a great location because it put us close to everything. The campground is very close to the expressway and we were thankful that our site was in the inner area and therefore a little quieter than other areas. The campground itself is very pleasant and well organized. The weather wasn’t the best for sightseeing—it was chilly and windy during most of our visit. 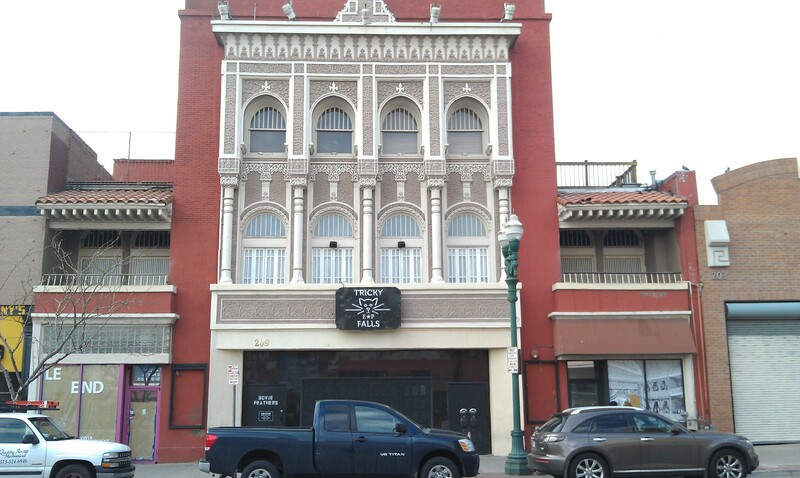 We started playing tourist with a walking tour of historic downtown El Paso. The tour takes you on a stroll to historic architectural landmarks and sites dating back to 1881. Many of the old buildings are now being used for businesses that do not show them to advantage—somewhat disappointing. As we were leaving the downtown area we visited “the Murals of Lincoln Park”. 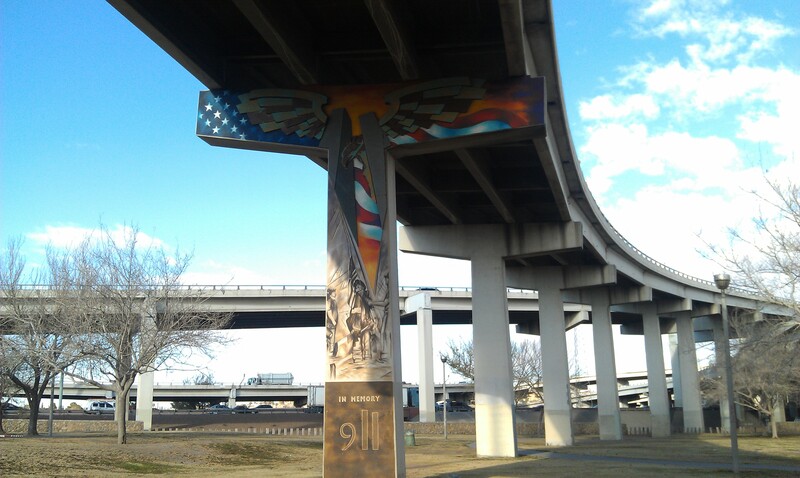 These are murals painted on freeway columns at what is known as the “Spaghetti Bowl”, the area where many freeways intersect creating numerous bridges. The murals are painted by local groups of artists in honor of, or in memory of people or events which have affected the local area. The first was painted in 1981 and several are very recent. The pictures were very impressive! Another area of interest near downtown is the Chamizal National Memorial which celebrates the peaceful settlement of a dispute over the international boundary at El Paso, Texas, and Ciudad Juarez in Mexico. On August 29, 1963, after decades of arguing about who owned a piece of land shaped and reshaped by the meandering Rio Grande river, the question was finally settled by diplomacy and technology. The river was constrained within a concrete channel four and a half miles long, forming a permanent border between two nations. The monument includes a museum with all the related historical information as well as extensive grounds for a park. The building has a mural which incorporates U.S. and Mexico culture. Our last stop was much more commercial—a visit to a store called “Saddleblanket”. We had seen billboards advertising this place all along the road from Phoenix so we had to visit to see what it was. Lots and lots of southwest souvenirs but not a lot that we needed. We did buy two placemats! At daylong trip to the north took us to Alamogordo, the home of the New Mexico Museum of Space History and to White Sands National Monument. The Museum had a wide variety of space memorabilia as well as a worldwide astronaut hall of fame. 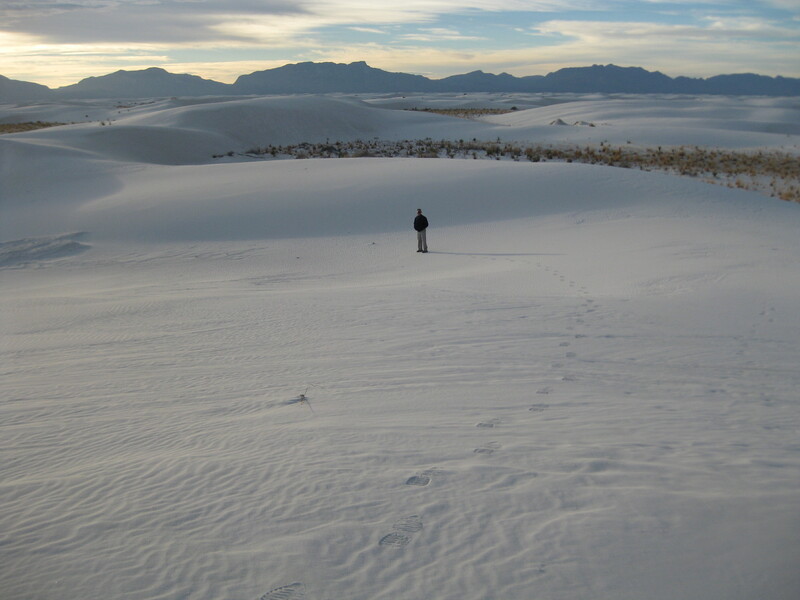 White Sands is a gigantic area (300 square miles) of sparkling white gypsum and is known as one of the world’s natural wonders. It just didn’t seem right though, that all of those beautiful sand dunes didn’t lead to a lake! We also found a New Mexico winery to visit and where we sampled the wines and the pistachios. The wines were pretty good and we bought a few bottles! There were still more museums to visit. 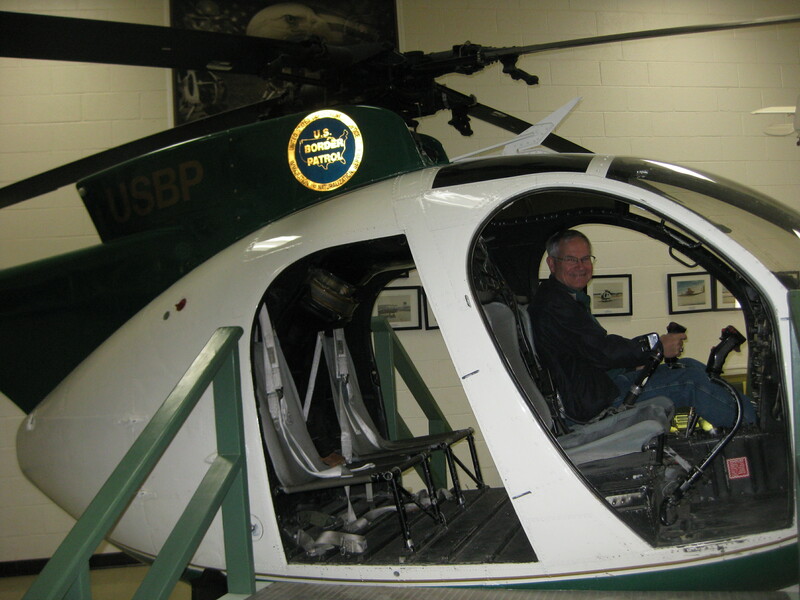 We toured the National Border Patrol Museum and Memorial Library just north of the campground. It contained exhibits covering the history of the Border Patrol from the Old West, Prohibition and WWII right up to current operations. Did you know that the Border Patrol was established along the southern border initially to keep out the Chinese? 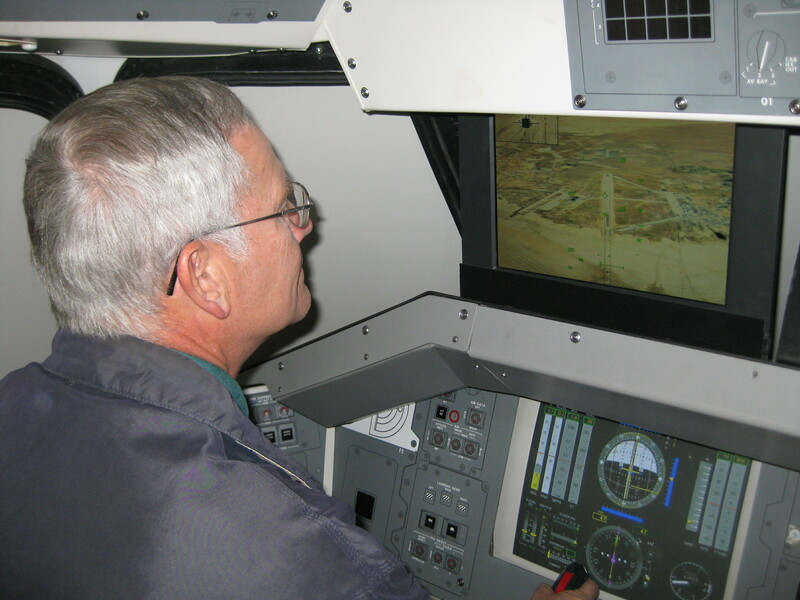 Fort Bliss itself has two museums—Old Fort Bliss, and Old Ironsides. 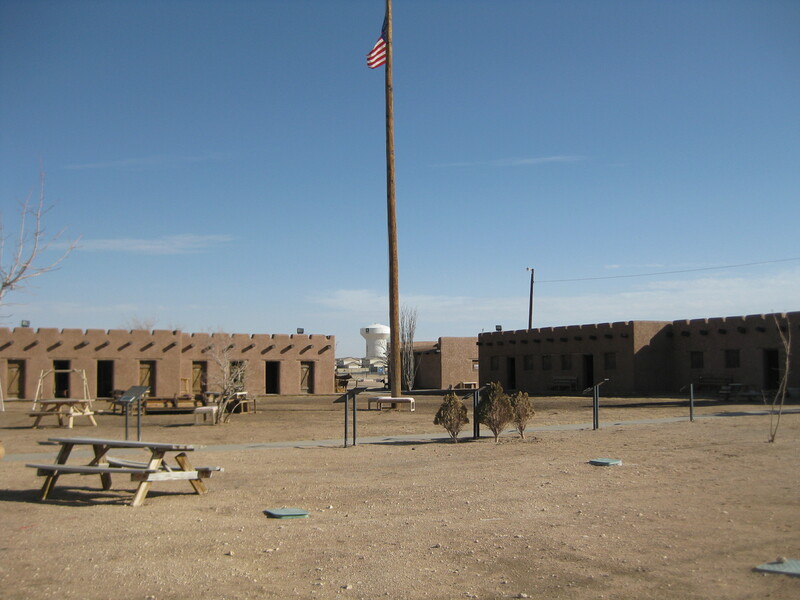 Old Fort Bliss gives the history of Fort Bliss and has buildings representing Fort Bliss as it was around 1880. Bob also visited the Old Ironsides Museum while Pat explored and shopped at the amazingly large PX/Commissary complex. On Saturday we set off early on the Old Mission Trail. 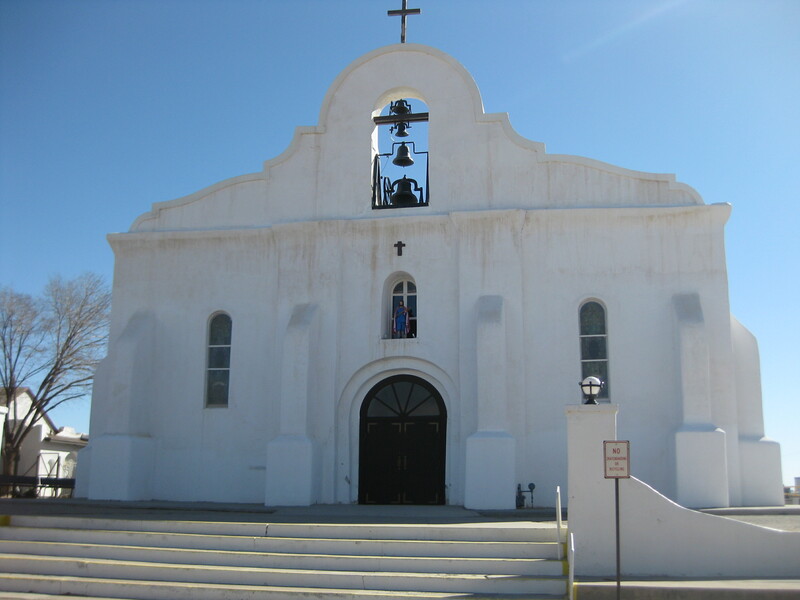 We visited three missions that were originally established by the Spanish and are still active today. All are small parishes today but the old buildings are maintained and two of the three were open for us to see. The third had a very interesting museum giving the history of the presidio (Spanish for fort or military post) and the area that the mission originally served. Our final activity in the area was a ride on the Wyler Aerial Tramway to Ranger Peak in the Franklin Mountains. The tramway takes riders to an elevation of 5,632 feet from where you can view up to 7,000 square miles including two countries and three states. The view was truly amazing but the cold temperature and the wind made the visit shorter than we would have liked. By Monday morning we were packed and ready to leave (after we thawed out the water hose)—on the road to San Antonio. Hope it’s warmer! This entry was posted in Fulltime RV, Michigan Traveler, Military RV Parks, Texas and tagged Border Patrol, Chamizal National Memorial, fifth wheel trailer, Fort Bliss, full-time RV, fulltime RV, RV Forums, Spanish Mission, White Sands National Monument. Bookmark the permalink.